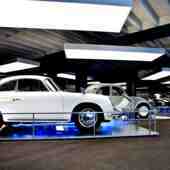 Discover five of the exhibitions during your drive to the Kaiser-Franz-Josefs-Höhe vantage point. Three more spectacular displays and a remarkable art exhibition are waiting for you there. 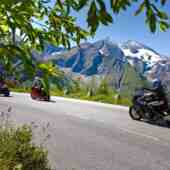 We wish you lots of fun and entertaining hours on Austria’s number one mountain road! The exhibition "Fascination Mountain" at Piffkar House offers a comprehensive and exciting insight into the development of alpinism. From elaborate first ascents, the mining of gold in the Hohentauern, the origin of the national park Hohe Tauern, the role of the Alpine Association, the first cable- and cogwheel railways, as well as the most modern presentation of the mountains. In the second part of the exhibition - in the outdoor area of the Haus Alpine Naturschau - the highest mountain peaks of Salzburg are skillfully displayed: From here a magnificent view of the Große Wiesbachhorn opens up. It is the highest peak, completely within the province of Salzburg. 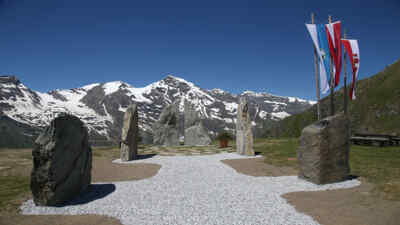 A gravel path leads directly to a monolith, which is about three meters high and divided by a viewing gap, which encloses the view of the Wiesbachhorn. From here, you can enjoy an incomparable view of the "Salzburg Panorama". Viewing devices for adults and children for the surrounding, prominent peaks such as Fuscherkarkopf or Hohe Dock complete the installation. 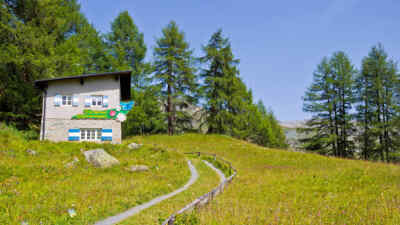 A modern museum equipped with interactive elements providing a lively introduction to alpine ecology can be found above the tree line. Which interactions leave their mark on plants and wildlife in the high mountains? Which survival strategies did animals and plants develop in order to thrive at this altitude? The Murmi-Show at the multimedia cinema also offers an excellent insight into the alpine nature along the Grossglockner High Alpine Road. 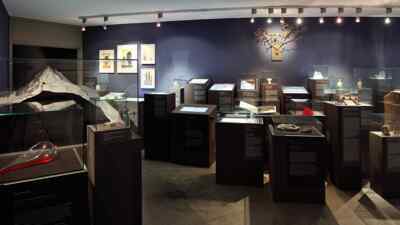 The exhibition “Kristalle – Schatz der Hohen Tauern” (Eng. “Crystals – Treasure of the High Tauern”) presents impressive examples of mountain crystals, cairngorms and blue fluorite octahedrons from the near surroundings. Tip: a walk through the open terrain with nature trail and outdoor presentation. 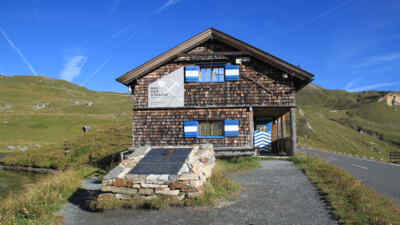 The Wegmacherhaus preserved in its original form at the small Fuscher Lacke mountain lake houses a permanent exhibition that examines the construction of the Grossglockner High Alpine Road. The tough environment endured by over 4,000 road construction workers and social achievements such as Austria’s first bad weather regulation are presented graphically. Without these so-called “Glocknerbaraber”, road engineer Franz Wallack and state governor Franz Rehrl’s idea would have remained a pipe dream – hard work, endurance, visionary power and, not least, the assertiveness of Salzburg’s father figure made the spectacular alpine road possible; as a work creation scheme for thousands of unemployed people and as an unmatched tourist attraction. 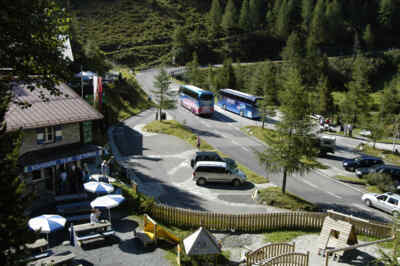 The Grossglocker High Alpine Road’s planner Franz Wallack always emphasised that the route mostly follows an old Roman trade road. The first proof for this assumption was given in 1933 when a Roman statuette was found at the south side of the Hochtor Tunnel during construction. 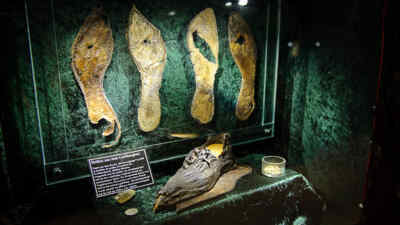 Numerous subsequent excavations unearthed further parts of statuettes as well as Celtic and Roman coins that confirmed the sanctuary on the pass. Discoveries of weapons, brooches, gold-digger tools, medieval fabrics and the remains of a gold-digger from the 18th century document the importance of the north-south connection as a route for merchants, gold-diggers and slave traders, who supplied Venice’s galleys with slaves from the north. A small nature display and a botanic round hiking trail will introduce you to the colourful plant and animal world of the one-of-a-kind Glockner meadows. The Pockhorner Wiesen – mountain meadows with a profusion of flowers, which are home to up to 140 different types of plants on just 100 m², are located between Gasthaus Schöneck and the Glocknerhaus. Flowers and insects live in manifold symbiosis – a fascinating world! Additionally, the special display Sonnblick-Observatorium (Eng. “Sonnblick Observatory”) offers you a special insight into the history and tasks of Austria’s highest observatory at 3,106 m. In fair weather, you can even spy the Sonnblick amidst the Rauris Goldberggruppe. The playground provides an explanation of how an egg becomes a butterfly in a manner that is appropriate for children. Numerous kilometres of road, unforgettable impressions and five exhibitions are behind you by the time you’ve reached the vantage point high above the Pasterze. Park your car in the free parking deck and discover four different displays introducing you to the diversity of the Grossglockner world. 1,500 m² of exhibition space on four floors are waiting for you at the visitors’ centre on the Kaiser-Franz-Josefs-Höhe – and it’s all about the Grossglockner, Austria’s tallest mountain! 4th floor: art exhibition "Alpenliebe"
Nothing is forever – not even the eternal ice. Because one thing keeps showing up over the millennia: the fact that the glacier is a living thing. It grows, it recedes – due to natural climate fluctuations and more recently also due to mankind and its actions. Glacier.Life, the new exhibition provides a deep insight into the glacier habitat, its origins and its influence on nature. 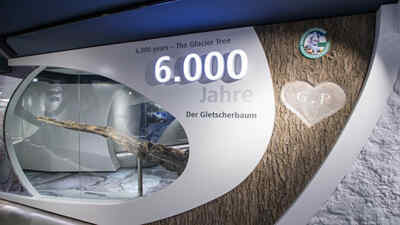 The Pasterze and the sensational discovery found in its retreating masses – a stone pine more than 6000 years old – are presented as two lovers that are never allowed to meet in the exhibition rooms of the visitor centre on Kaiser-Franz-Josefs-Höhe: the powerful ice giants and their hidden treasures buried underneath. Find out interesting facts about the first drive on the Grossglockner High Alpine Road and marvel at several vehicles on 1,000 m² of exhibition space. 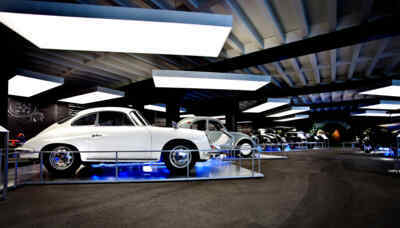 Cars from 1926 to the modern age, race cars, motorbikes and 200 model cars won’t fail to make the hearts of automotive enthusiasts beat faster. The first drive on the mountain pass road took place on 22 September 1934 with a Steyr 100 that was specifically converted for the narrow gravel road. 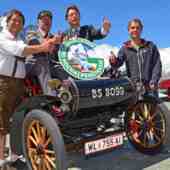 The pilots of this trip across the Alps were none other than road engineer Franz Wallack and state governor Franz Rehrl! The trip from Ferleiten across the Hochtor to Heiligenblut lasted five hours – a spectacular and unforgettable time for both road visionaries without a doubt. 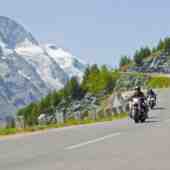 The fascinating Alps have always influenced the artistic creativity of mankind. The modern art exhibition on the Kaiser-Franz-Josefs-Höhe shows 20 contemporary artists who indulged their passion for the mountains. 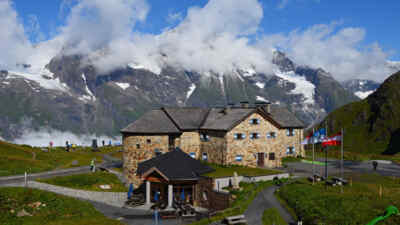 The range encompasses the Alpine Symphony by German composer Richard Strauss and the musical treatment of the alpine region by Hubert von Goisern. 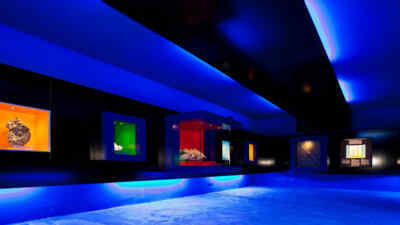 Photos, movies, sculptures and graphics, as well as extensive installations show the various approaches to the mountain topic. There’s also space for critical examination, for instance on topics such as the globalisation of the alpine region. The depths of the Gamsgruben Tunnel transport you to a world of legend that abound around the origin of the 8 km Pasterze. It has been said that, once upon a time, a fertile mountain pasture was located here until the blasphemous behaviour of the inhabitants invoked great disaster: the green meadows disappeared beneath an icy mass extinguishing all life. Let yourself be transported to a mystical past with the 650 m installation made of stone, light, sound and paintings, and discover the mysterious world of the mountain at seven stages. 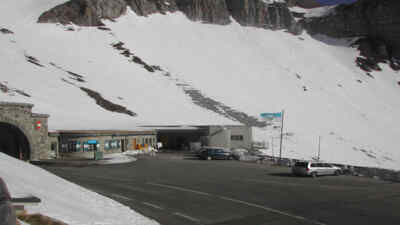 Arriving at the end of this mythical journey through the tunnel, you are rewarded with a grand view of the Pasterze. Tip: continue hiking on the Gamsgrubenweg and watch marmots and ibexes in the wild!